Here’s a simple but delicious treat for your valentine for any time of year. This is our famous CABERNET FRANC TRUFFLE RECIPE. A sure hit! Place chips and milk in microwave for 1 minute. Remove and add the Cab Franc, stir until smooth. If the chips are not completely melted, microwave for another 20 seconds and stir again. Place in refrigerator to cool for at least an hour. Once cool and firm, roll 1 tsp of the mixture at a time into balls and roll in cocoa. 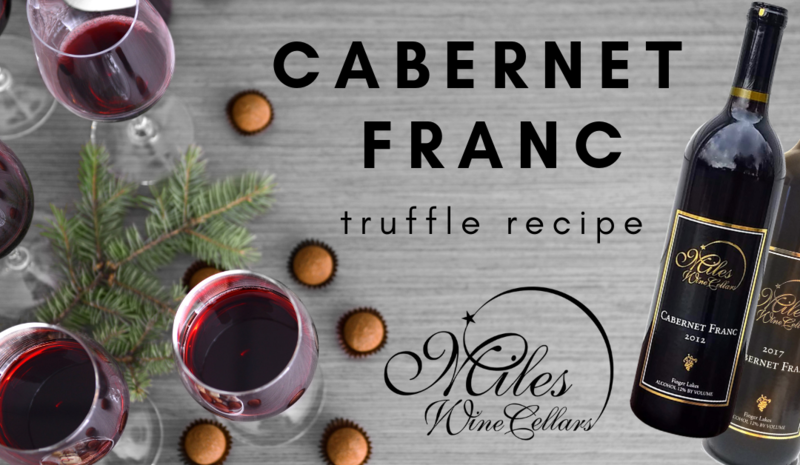 Keep refrigerated and serve with Miles Wine Cellars Cabernet Franc for a wonderfully different dessert. Order your Cabernet Franc online or visit our winery to stock up.